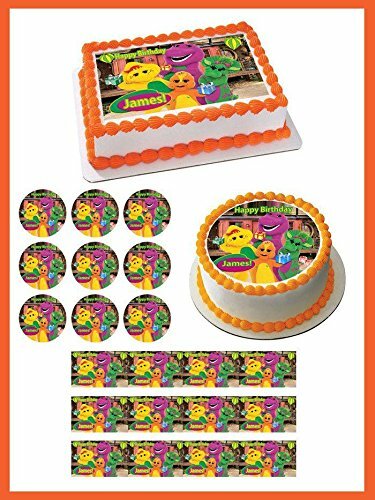 Barney Cake Decoration kit. 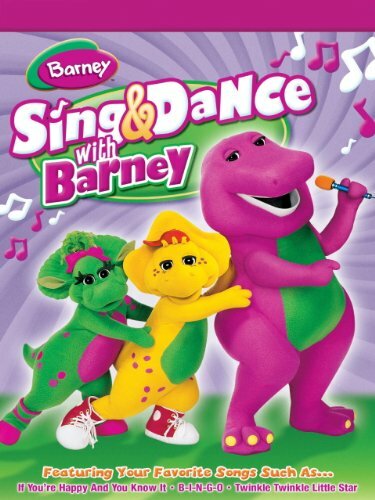 Includes 4 Barney figures in different costumes. Happy Birthday candles and 2 cake decoration Balloon picks. Important Information Needed Following Your Order: 1: Name 2: Age 3: Your "need by" date 4: The template theme and purchase name. 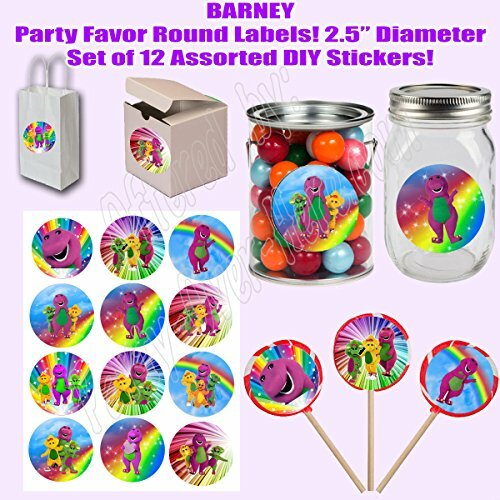 Please send the above information in one email to: [email protected] Your banner will look just like the sample but with your personalized name and age. We can change the colors of certain items if desired. We can change the fonts if you provide the font name and we have that font available. DESCRIPTION: Your banner will be printed on heavy duty 13oz. gloss scrim on a state of the art Eco-Solvent printer which provides stunning results and superior durability. Grommets will be installed in the corners for easy hanging. 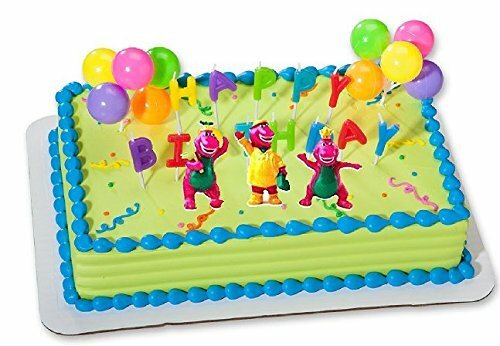 TURNAROUND TIME: We recommend placing birthday banner orders at least 2 weeks before your need by date, just to be on the safe side. We can sometimes accommodate shorter turnaround times, however, due to the time sensitive nature of these items please plan ahead. 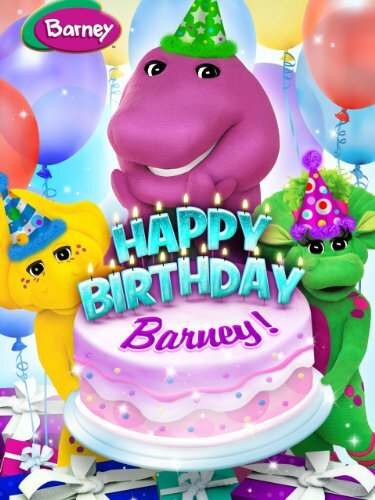 If you need a birthday banner sooner than 2 weeks, please contact us by email to check on our ability to turn your banner in time. HOW IT WORKS: A proof will be emailed to you once we receive your info and pictures. Please check your spam folder. Upon approval your banner will ship via USPS Priority which is generally 2-3 business days. 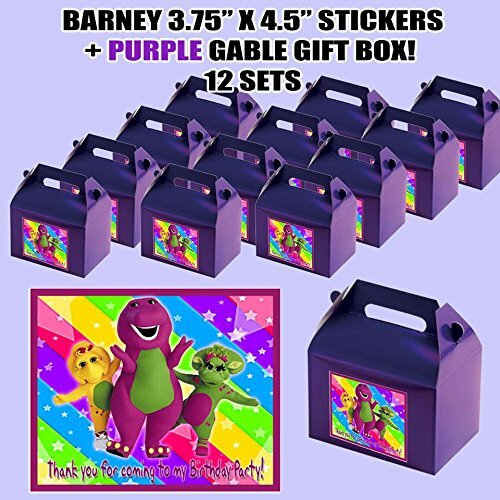 12 Beautiful Barney Baby Bop Dinosaur Goody Favor boxes 12 Thank you Decals Color Boxes: Purple Stickers Approx size:3.75 x 4.5 in Boxes Approx size: 6 1/4 in long x 4 in wide x 6 1/2 tall including handle. Boxes and decals comes separated.